White radish or daikon is an excellent source of potassium, folate, vitamin C and also magnesium. Besides it is believed to stimulate appetite, treat liver and gallbladder problems, and improves bowel movement. It is also good for sore throat, digestion and expel phlegm . However, a word of caution. Chinese believe that you are not supposed to take white radish if you are on medication or herbal tonic as white radish neutralises the efficacy of any medicine or health tonics. So whatever health supplement you take would go down the drain! 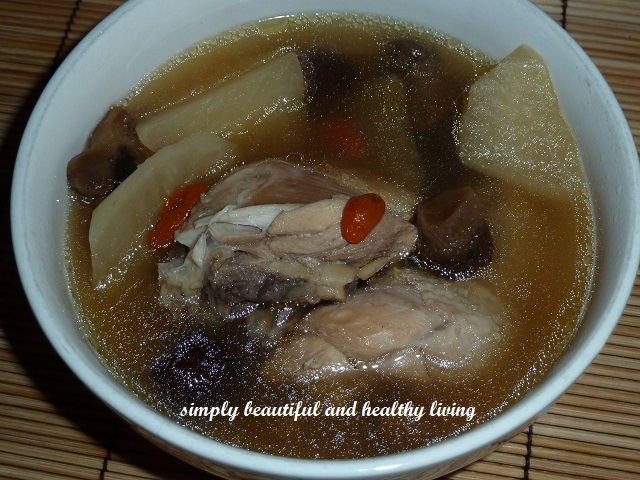 Here is a common and simple white radish soup that we used to cook. It is common to add dried cuttlefish to the soup. However, I prefer a simple and healthier soup minus the dried cuttlefish. This is a simple dish and easy to prepare too. 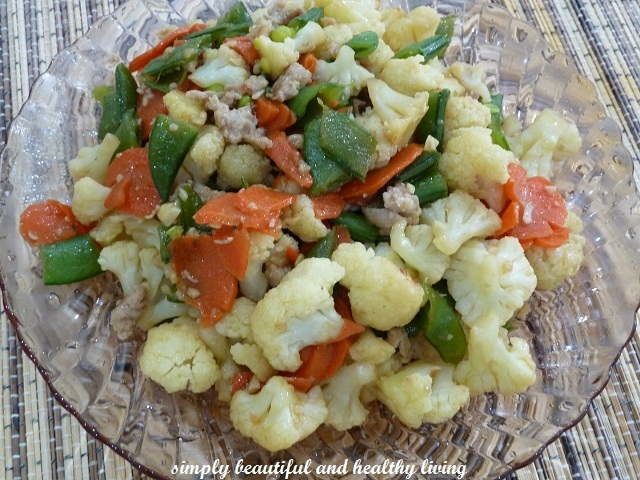 You can mix any ingredients you like such as minced meat, prawns or even both. Having grown up in Ayer Tawar, Sitiawan (Perak), where the majority of the Chinese in Manjung are Foo Chows or Hock Chews, our lifestyle, more or less has been influenced by the Foo Chows, no doubt I am from a Hokkien family. Foo Chow style sweet sour fish maw is a must during Chinese New Year and it is no doubt one of the best dishes we love. Initially, my hubby could not get used to the sweet sour dish. He used to be curious why most of the dishes in Manjung’s restaurants are sweet and sour; be it fish maw, sea cucumber, etc. After so many years, he has got used to it and in fact quite like the sweet sour fish maw. As far as I know, only the Foo Chow style fish maw is cooked sweet and sour. Do correct me if I am wrong. 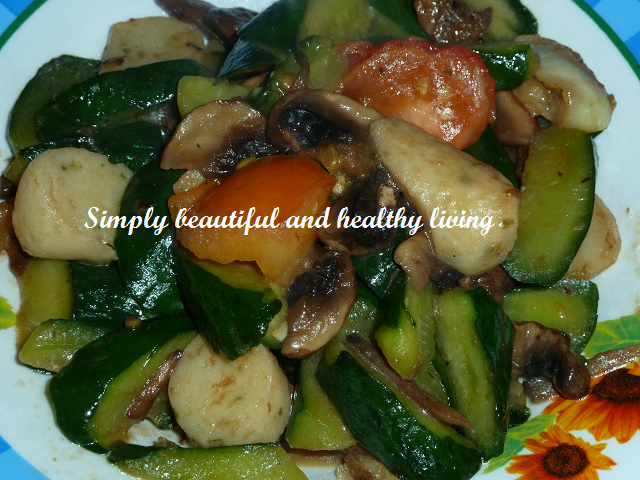 Zucchini has a delicate flavor and can be partially boiled, steamed or made into juice. Besides, Zucchini can also be eaten raw, sliced or shredded in a cold salad. 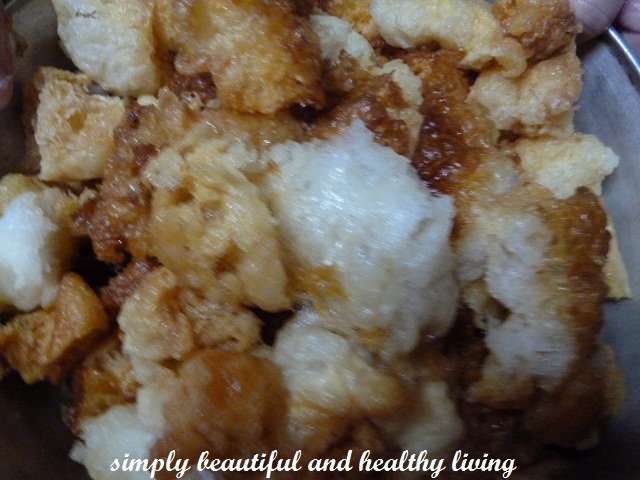 To get maximum benefit, don’t forget to eat with the skin– it’s edible! 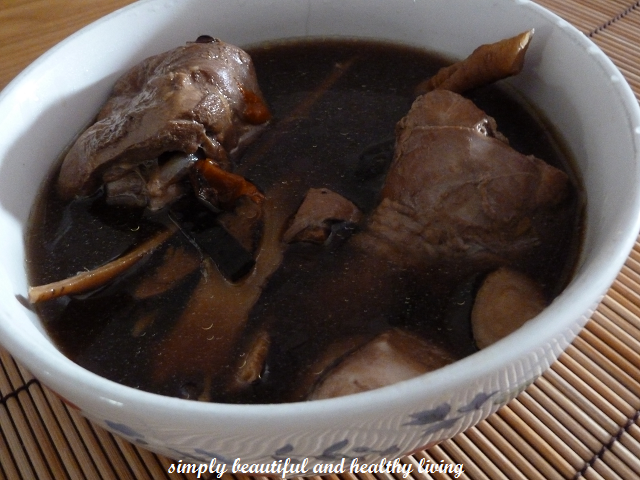 I used to boil Chinese herbal soup for my family. One of the herbal soups that we used to take is ‘Chap Qi Bi’ (in Hokkien). It means, seventeen herbs of herbal soup. 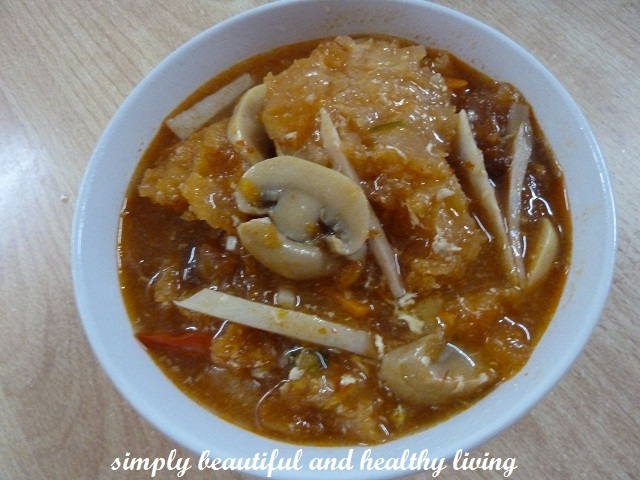 It is very nutritious and for those who used to have backache, this soup is also very good. It is suitable for adults and children. 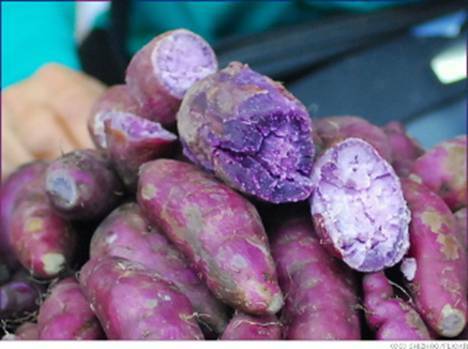 The purple sweet potato, the latest food item presented to the general public as a potential superfood. The potato’s colouring contained the chemical anthocyanin, which is known to lower the risk of cancer and could even possibly slow down certain types of the disease. The colour is the important part because the purple colour is responsible for the amount of anthocyanin in the potato.